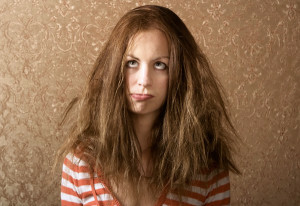 Do you have frizzy, uncontrollable hair? If you do, then there is a 99% chance that you have curl or wave that Carleen and her team can help you discover! Hey! What’s up! This is your hair speaking. Yes, your curly, wavy, messy frizzy mop of hair. I am STRESSED OUT! The frizz halo that is happening right now is down right heavenly at this point. Let’s just say you could be mistaken for an angel right now if weren’t for the fact that we’ve been through the fires of hell together! You know what I am talking about: the tugging, trying to comb out gnarly knots and tangles; the fiercely, hot blowouts; the singing of dead ends from white hot flat irons, the fried frizzy freak outs, you name it! It’s a wonder I have survived on a head so ravaged and abused as yours! So this is me asking you, begging you to please, please give me a vacation… for life. I hear that there is a place where dreams come true for curly heads. It is a place of laughter, relaxation, where soft meadows of curls and waves frolic freely in light, bouncy, frizz-free abundance. In this place, there is a Curl Friend by the name of Carleen Sanchez who gives the good nectar (aka: amazing curl friendly hair products and potions) to all those who have suffered the fiery, dry winds of frizz hell! Upon leaving this place, you become reborn, arising from the ashes a Curl Goddess for all to admire in awe and amazement. What is this place, you ask? 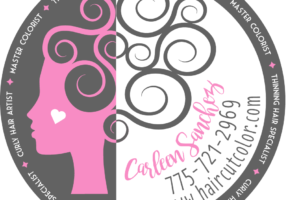 It is the Curly Hair and Color Artistry by Carleen Salon! Named Best Hair Salon in Reno 2 years in a row! 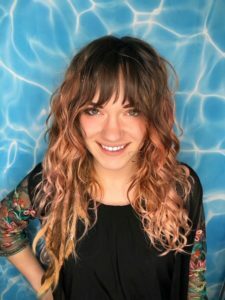 “Curly Hair and Color Artistry by Carleen” was named #1 salon in Northern Nevada and Top 100 in America by ELLE Magazine! 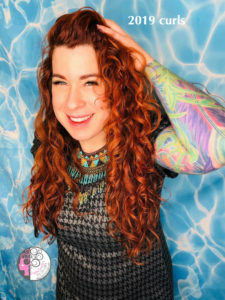 Voted Curly Hair Artist of the year by Curly Hair Artistry Members from around the world! 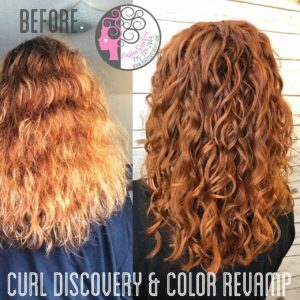 As a Curl Revolutionary, Carleen has invented her own signature methods of coloring and cutting hair that is tailored to each curl friend that walks through her salon doors. First, she helps you find your curl/wave identity. Did you know that there are 9 different curl/wave types and that it is possible to have more than one curl type on a single head? Next, she discusses your hair dreams, including cut and color (be sure to bring a couple of Instagram or Pinterest pics!). Once you have decided on a cut and color, the magic begins! 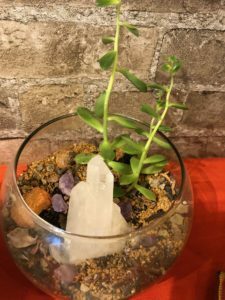 This is where the rest of the body gets to be in on the fun and relaxation that includes massage, aromatherapy, beauty tips, snacks and a beverage of your choice! Ahh! Get ready to feel like new from hair to toe to soul! One thing to note about Carleen’s color techniques and the products she uses: She is careful with us, making sure to use products that are gentle, made with natural ingredients to keep every strand of hair looking bouncy and full of life! If we come in looking tired and worn out, we walk out feeling revived, healed and nurtured! It truly is hair therapy! Carleen prides herself not only on protecting the curls of the Earth, but also on protecting the Earth itself by using green and organic, cruelty free products whenever possible. 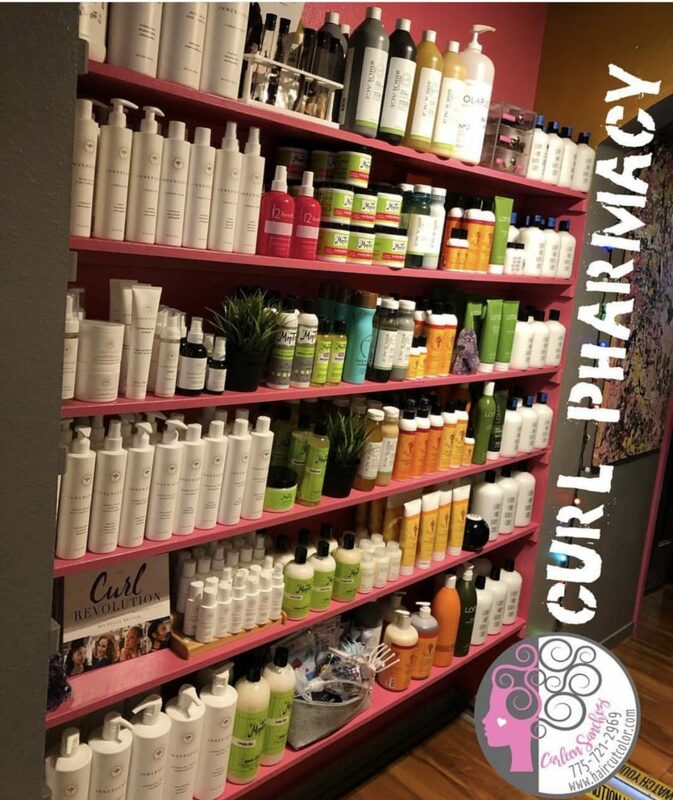 Warning: Since we curly heads like to call Carleen our Curl Savior (she prefers Curl Friend), you should know, that she would do anything to protect each and every curl in the world! 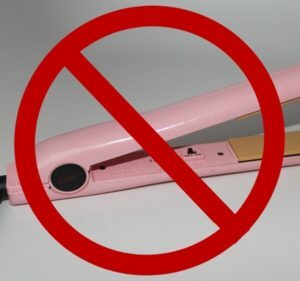 Therefore, she does NOT do curl destroying straightening or smoothing services. 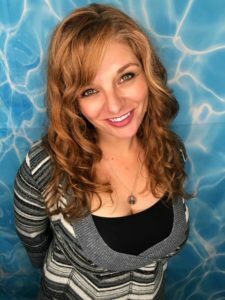 Carleen’s true passion is to provide an exceptional experience and deliver hair you will love! 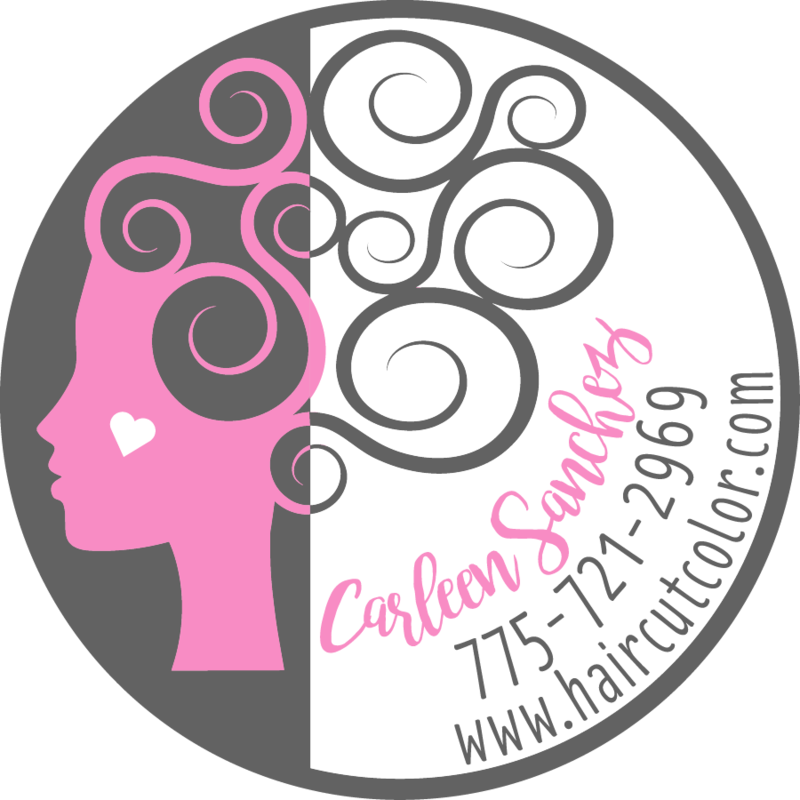 Request a hair service with Carleen Sanchez at 775-721-2969. 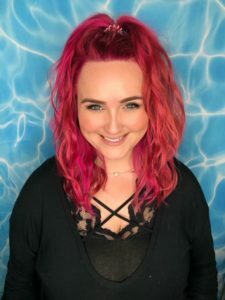 Jessi Hendrix is passionate about this industry and teaching those with textured hair how to love their natural curls/waves. She loves traveling, adventure, and long walks on the beach! If you want to feel beautiful inside and out… Jessi is your girl. Tina Lewis joined Carleen’s team because she sees her as a super star in her field. She feels that she is getting the best education she could ask for. Not only has she learned why curly hair needs so much care, but also how to properly color and cut it to flatter each person. Every time she learns something new, she is so inspired by her knowledge and her love for curly hair. Kitty Anderson has always been enchanted by the look of gorgeous natural curls and the idea of embracing and enhancing natural beauty. She works with Carleen to use techniques and products designed to do what is best for each individual guests texture. She is part of a team that builds people up with confidence, makes them feel loved, and gives them an experience that they won’t forget. She is grateful to be a part of this team and for this learning opportunity.